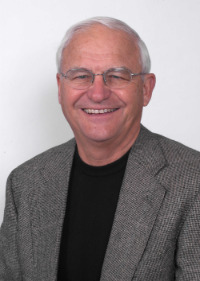 LINCOLN, NE (February 5, 2019) – Duane Eversoll, retired Associate Director of the University of Nebraska Conservation and Survey Division and Professor Emeritus in the School of Natural Resources, has been selected to receive the 2018 Maurice Kremer Groundwater Achievement Award from the Groundwater Foundation. Eversoll will be presented with the award at the Maurice Kremer Memorial Lecture on February 27, 2019 at 3:30 p.m. in the Hardin Hall Auditorium (room 107) on the University of Nebraska-Lincoln East Campus (33rd and Holdrege Streets, Lincoln). Light refreshments will be served at 3:00 p.m.
For more information about the Maurice Kremer Groundwater Achievement Award, visit www.groundwater.org/kremer. To find out more about The Groundwater Foundation and to get involved, visit www.groundwater.org.